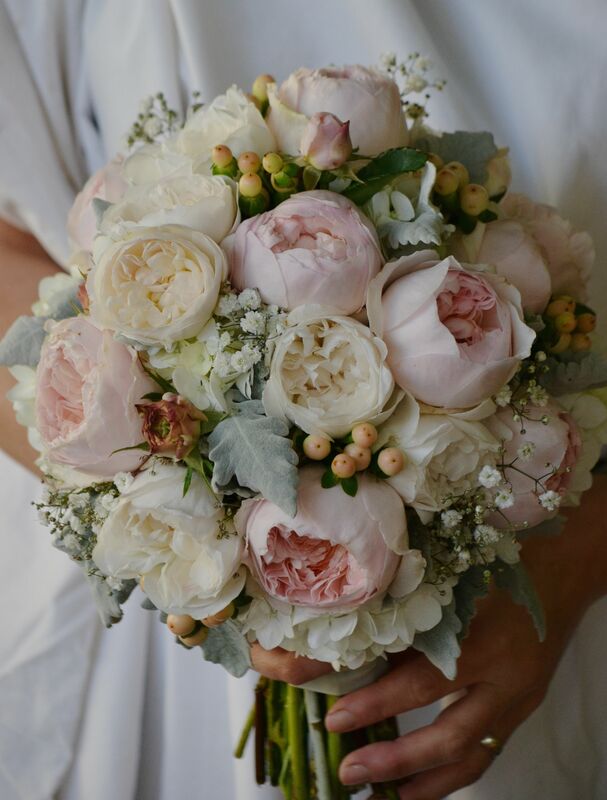 Jessica wanted a luscious big bouquet for her December wedding and Sacha was happy to oblige, with white peonies, snap dragons, hydrangea, garden roses and loads of ferns, foliages and queen annes lace. 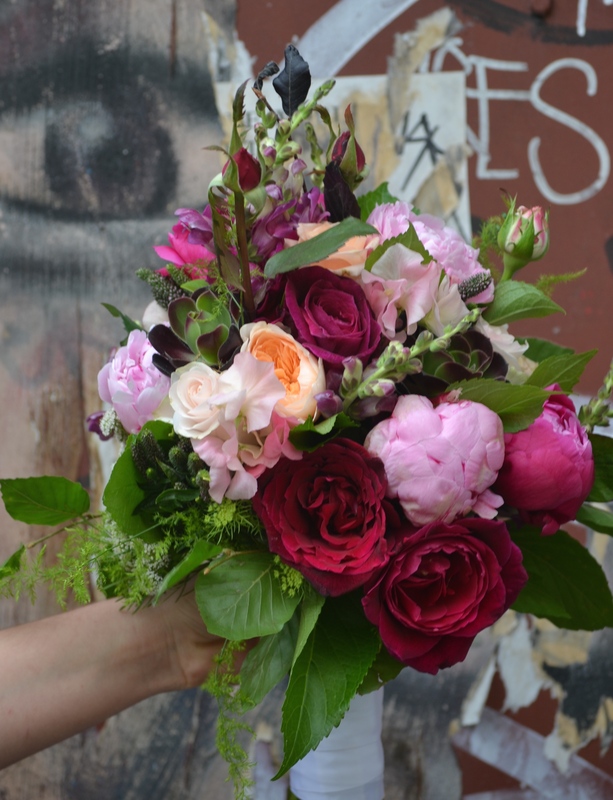 The bride’s maid bouquet was just as lush, in deep pinks and crimson with peonies, succulents and heavenly scented Mr Lincoln roses. 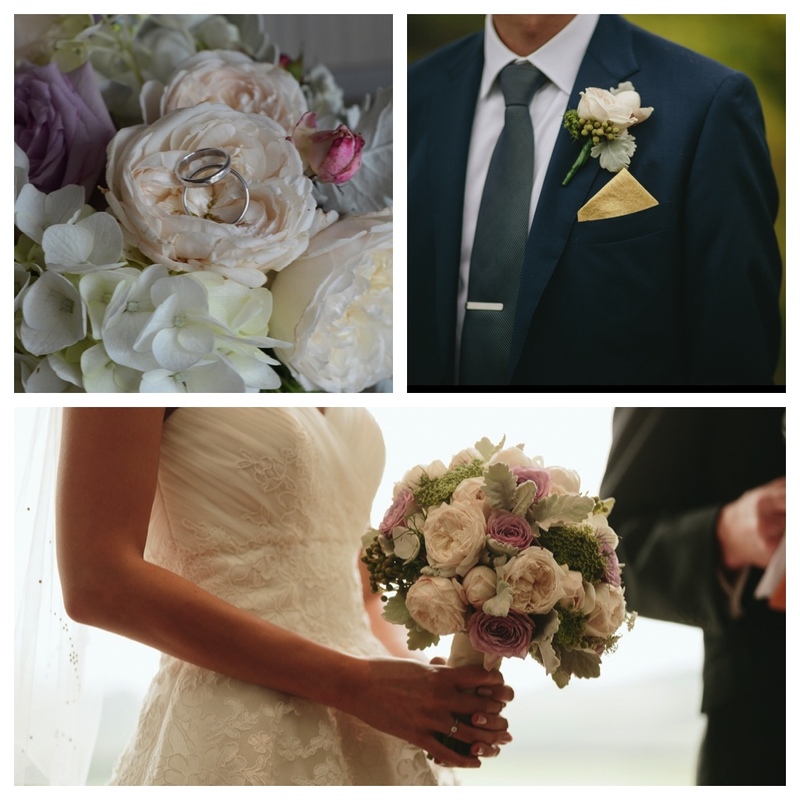 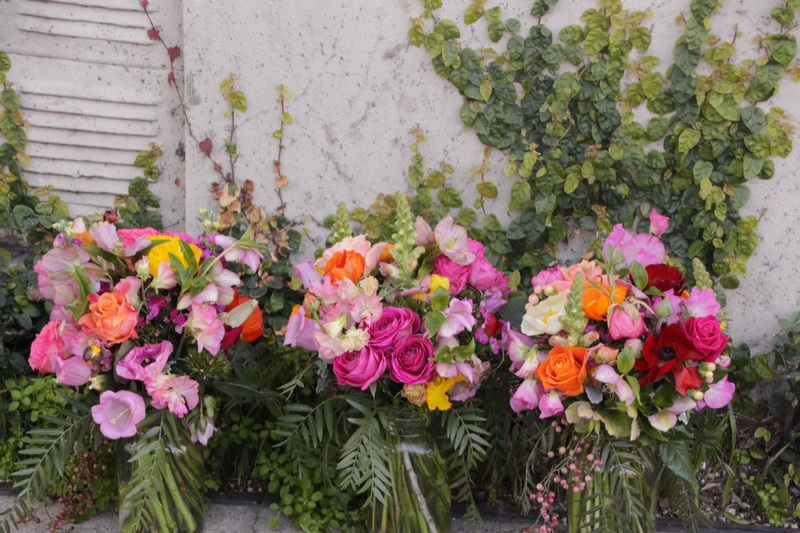 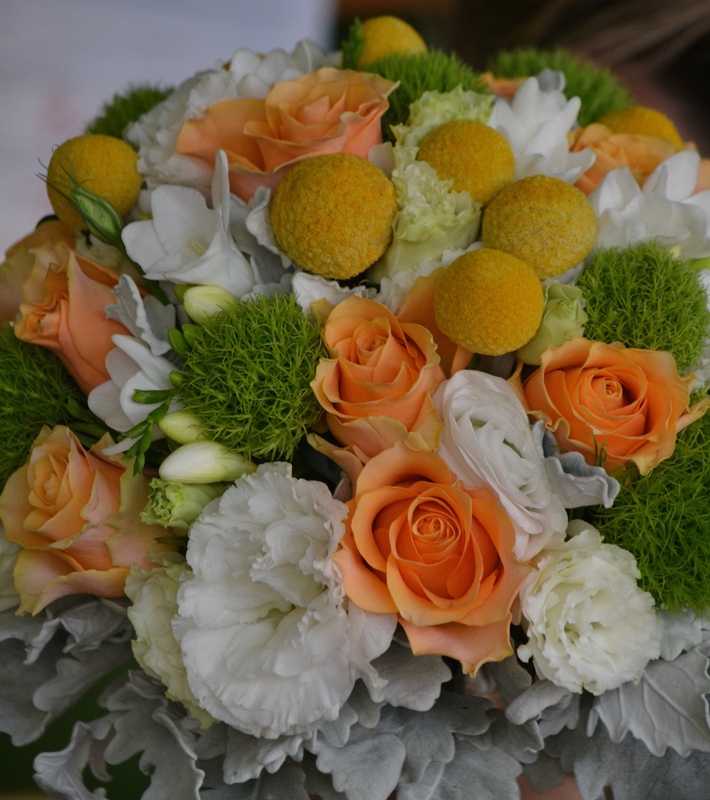 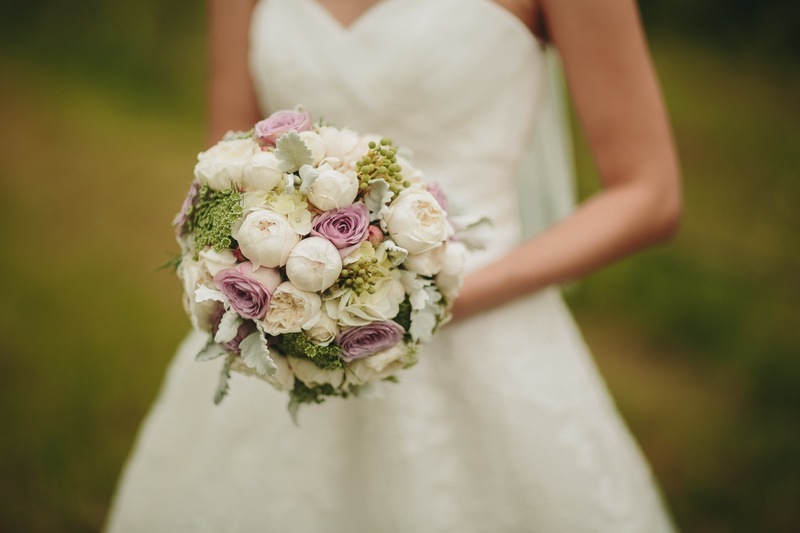 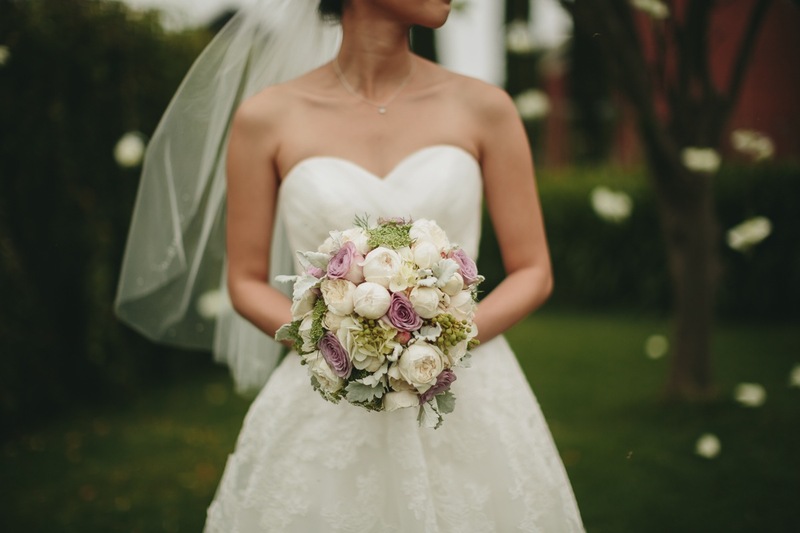 August bride Belinda wanted some gorgeous blooms to bring pops of colour into her special day. 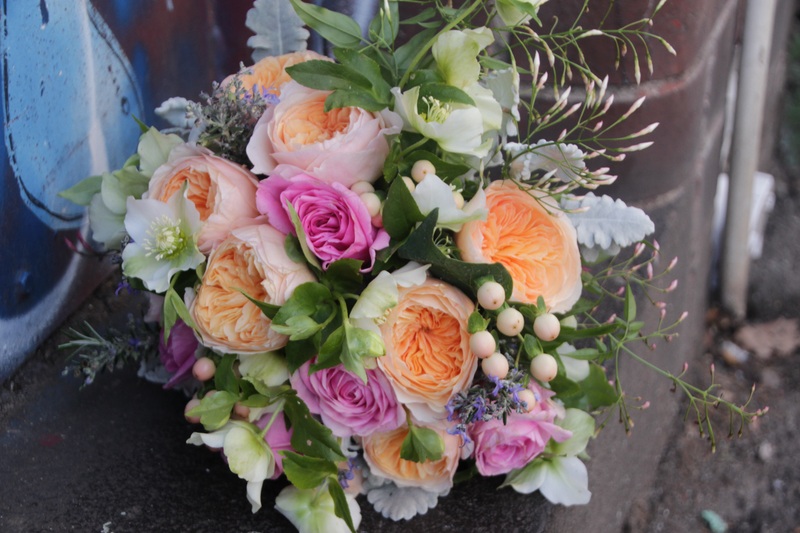 Her bouquet was vibrant fuschia and tangerine tones while her bridesmaid had peaches, dusty pink and creams. 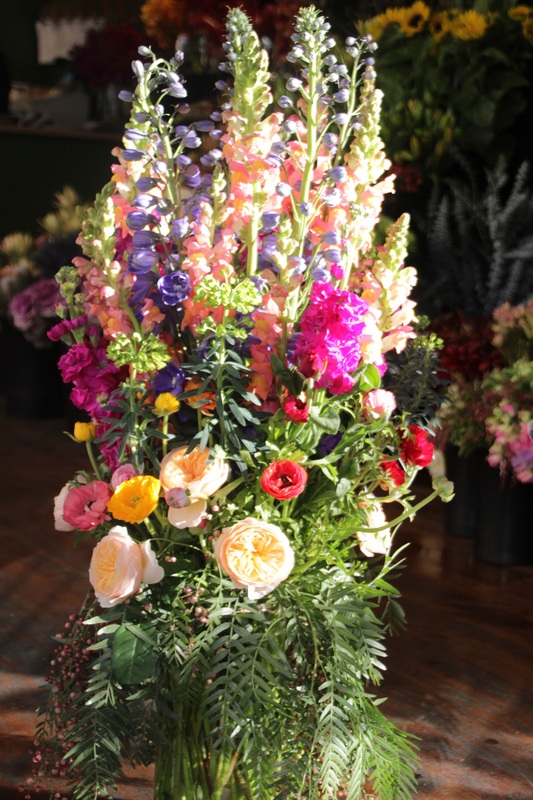 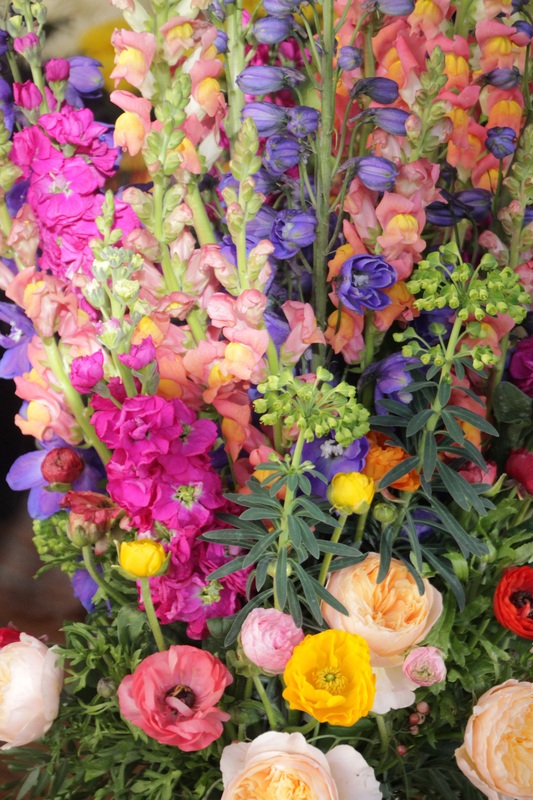 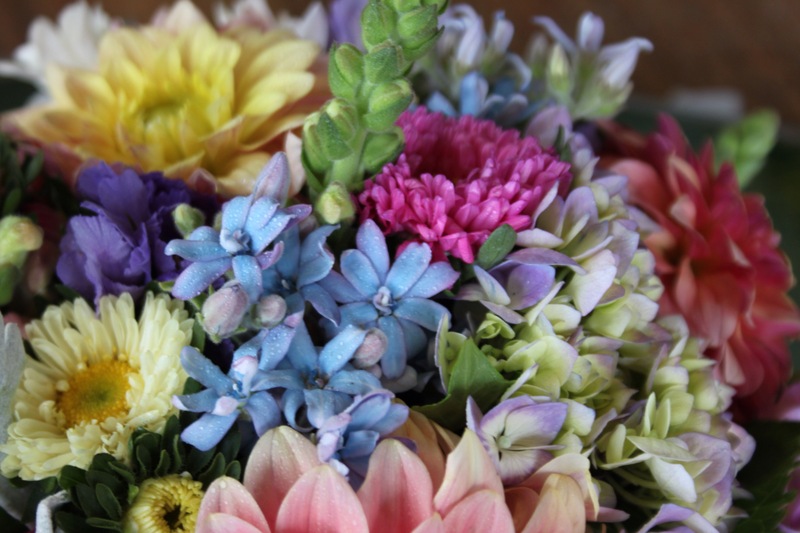 The florals celebrate the hight of late winter’s bounty…stocks, delphinium, snapdragons, sweet pea, poppies, ranunculus and euphorbia. 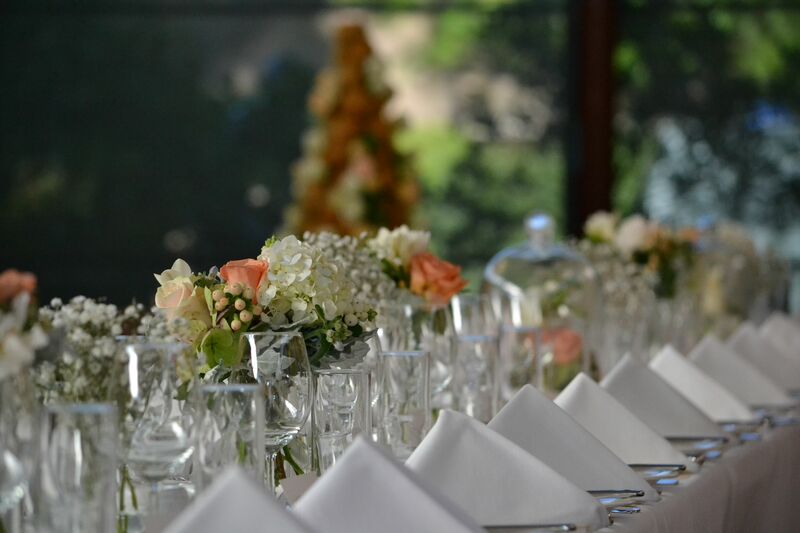 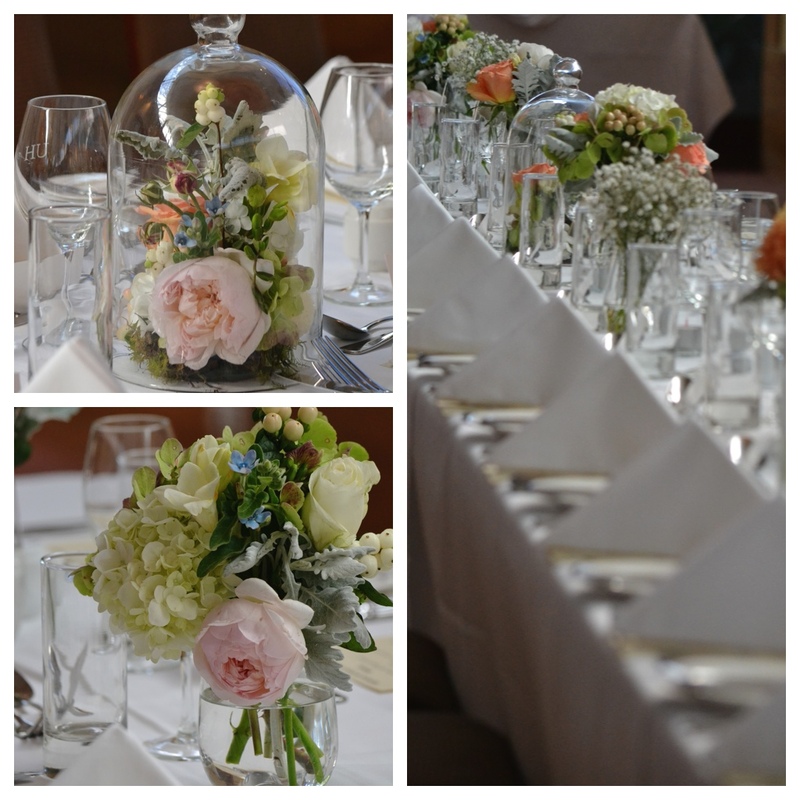 Along with rosemary, jasmine, peppercorns and garden roses the arrangements had a relaxed, fun feel to them. 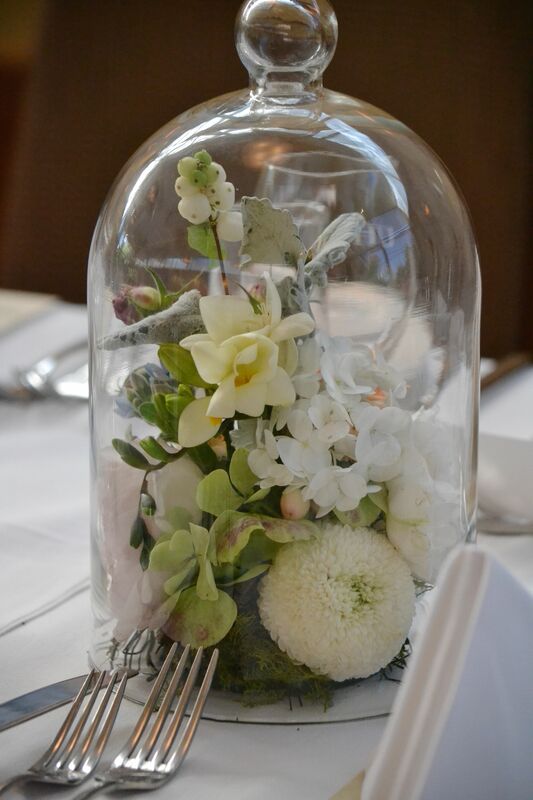 Mason jars were nestled among foliage for the reception. 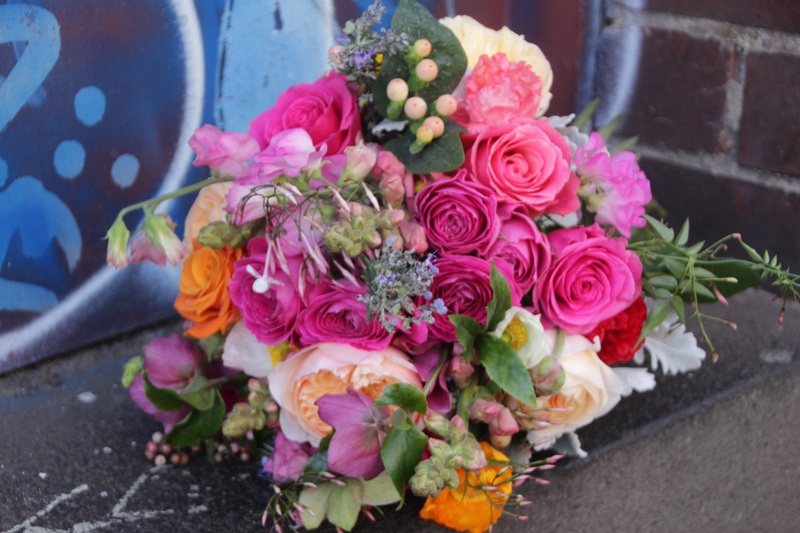 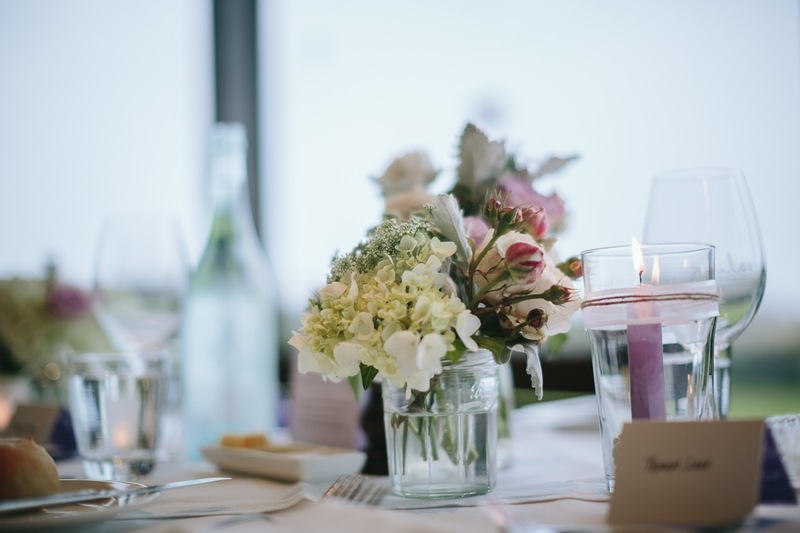 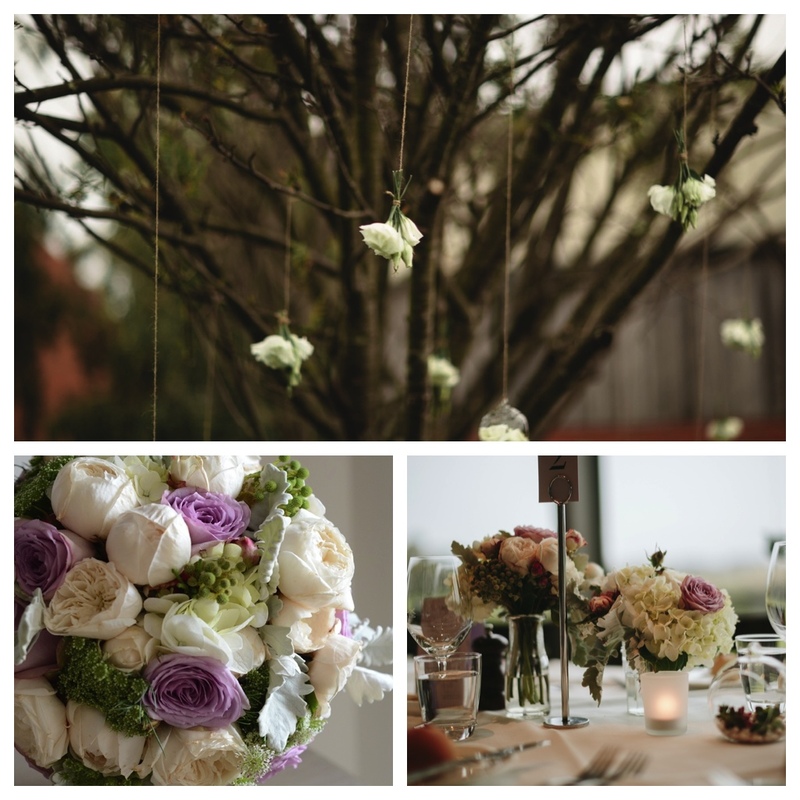 On a bright, crisp winters day, a rainbow of colourful blooms was the finishing touch to this glorious wedding. 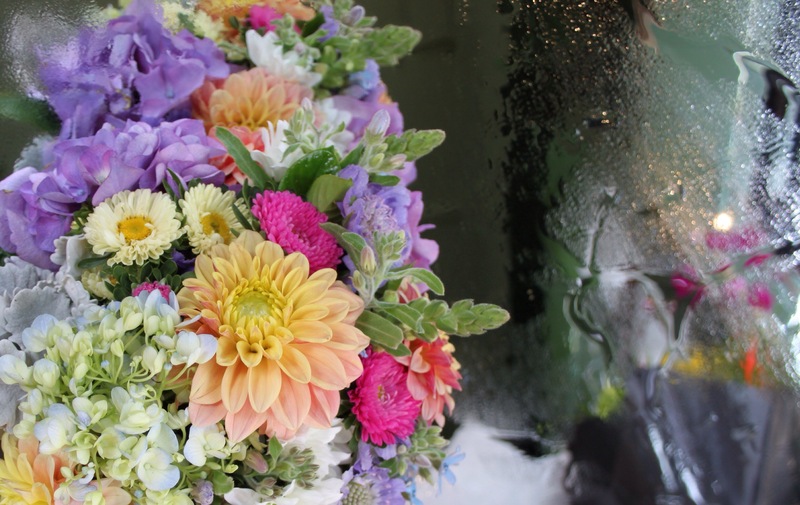 Bloomin’ beautiful if you ask us! 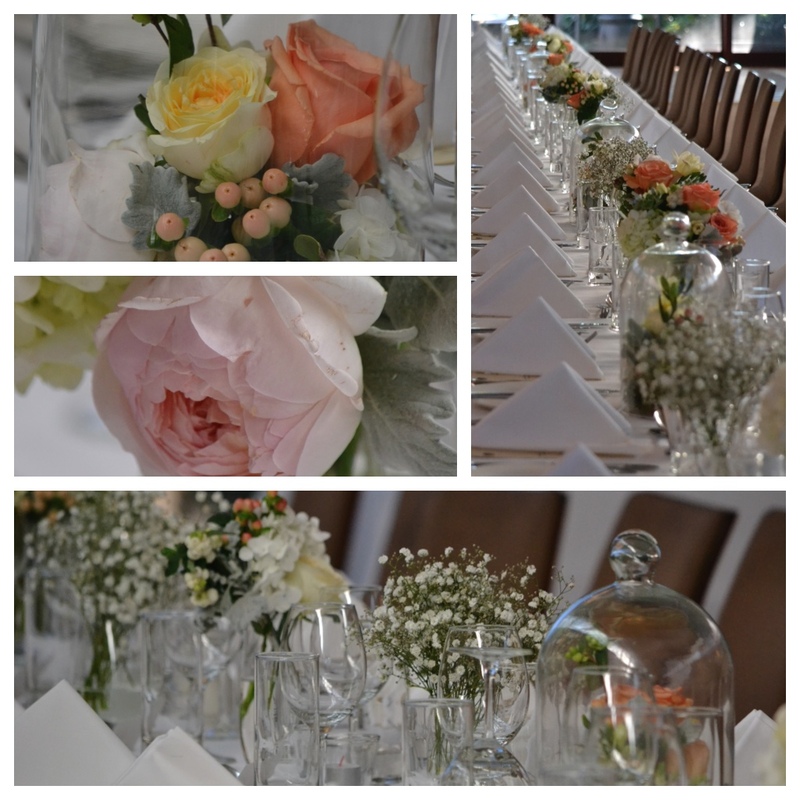 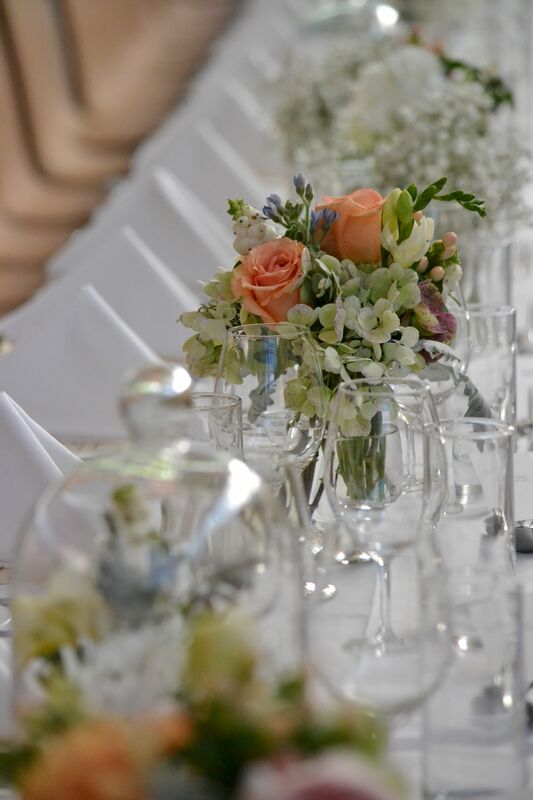 For Adriana’s pretty March wedding, sparkling glass bell jars enclosed sweet little flower tableaux in peach, ivory and mint tones. 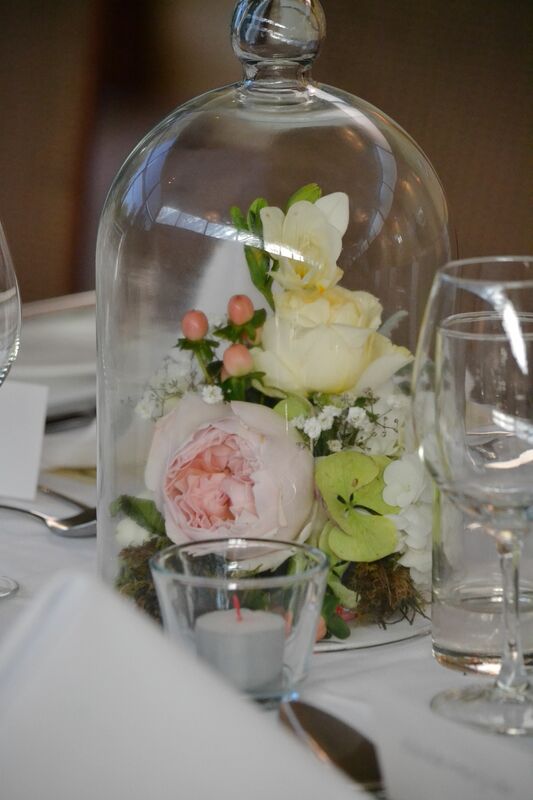 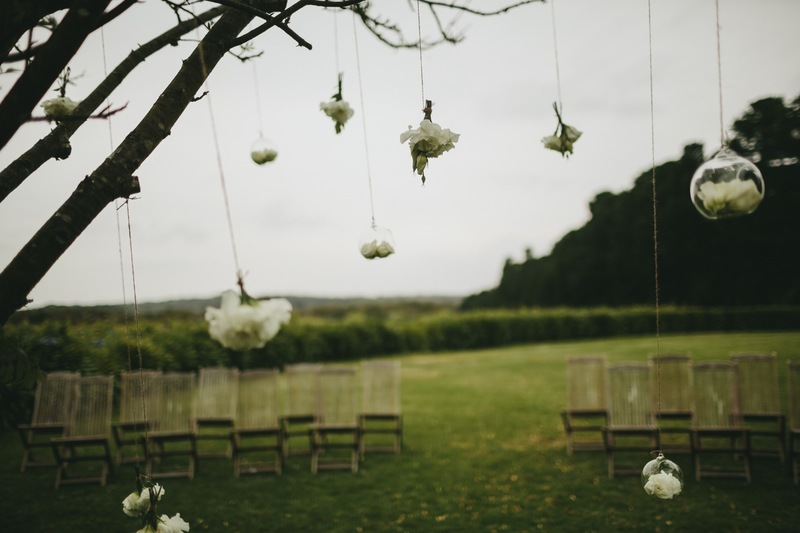 Jars of roses, hydrangea, berries and sliver suede were interspersed with fluffy puffs of gypsophila, and the bell jars, each with it’s own unique creation inside, along the long tables creating a magical scene. 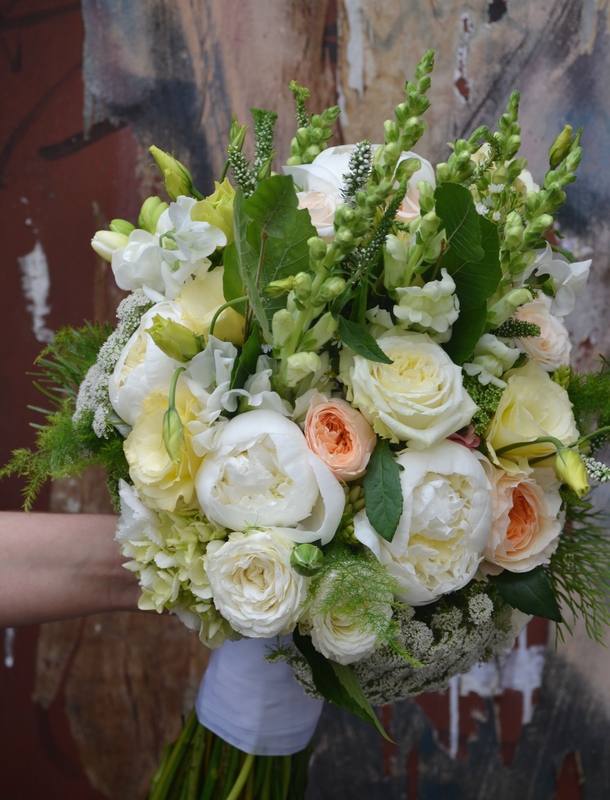 Adriana’s bouquet carried on the theme in peach David Austin roses, hydrangea and silver suede with touches of gyp and peach hypericum berries. 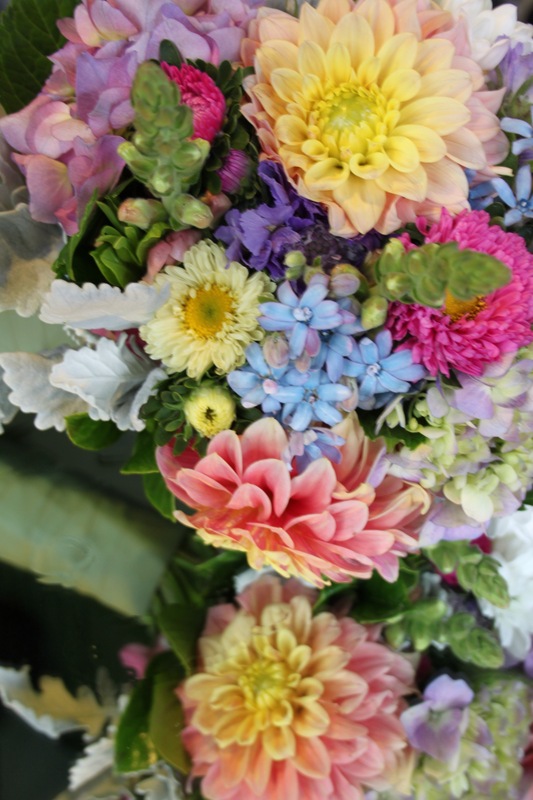 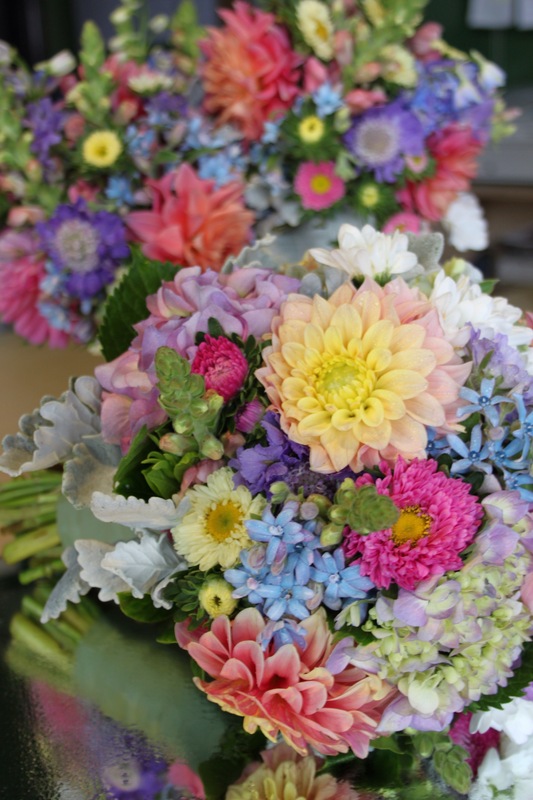 These sweet as can be bouquets are for summer bride Claire’s country wedding. 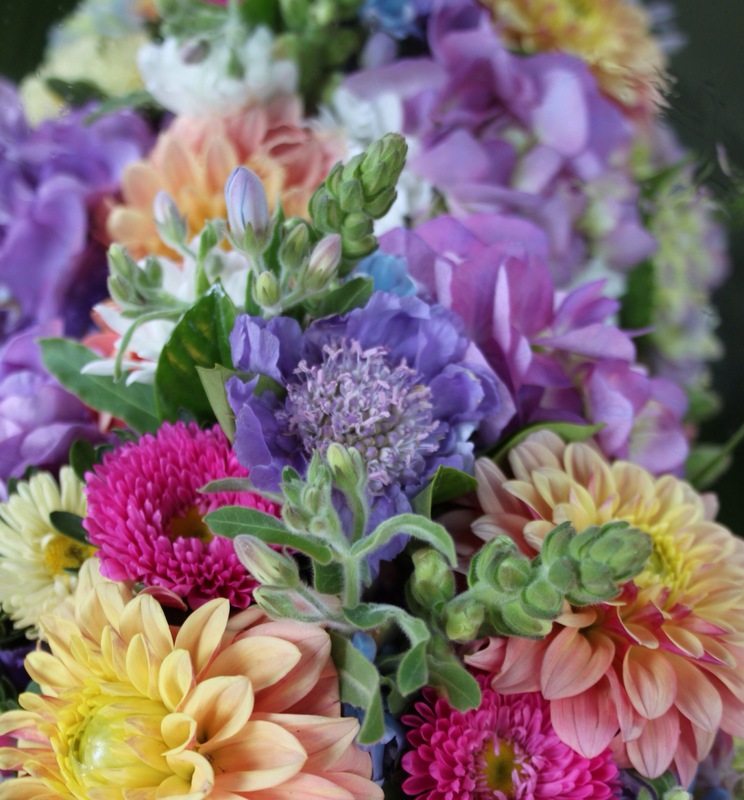 Summer field flowers dahlia, scabiosa, aster and snapdragon together with tweedia, hydrangea and silver suede produce a fruit-tingle palette that is both unique and joyous. 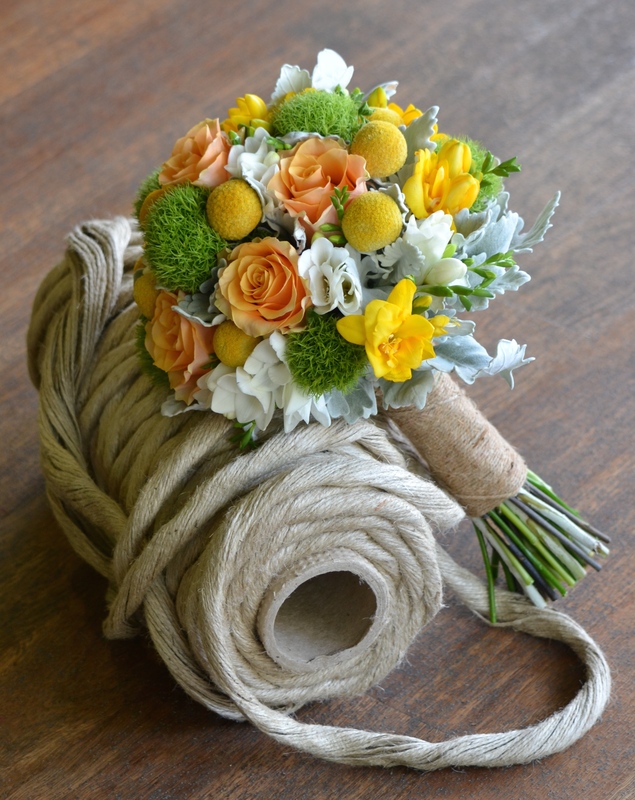 This bright and bonny bouquet was bound with jute twine to give a natural rustic finish and to highlight the different textures of the flower selection. 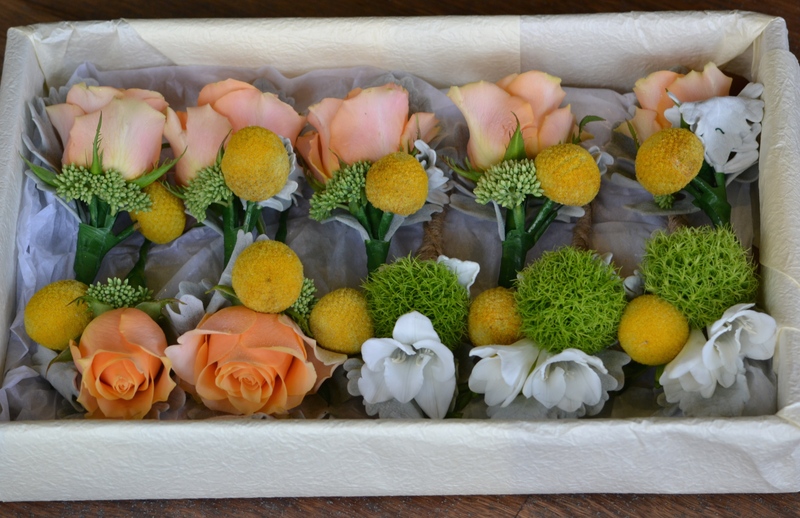 The buttonholes all boxed and ready to go were mini stories of the bouquet with billy buttons, green trick, carpe diem roses, freesias and dusty miller.